The book of Galatians is sometimes referred to as “the charter of Christian liberty.” In it, Paul fights tooth and nail for the doctrine of justification by faith alone in Christ alone. There are a number of helpful commentaries on this epistle, and the following are five of the best. 1. Philip Graham Ryken — Galatians (Reformed Expository Commentary, 2005). Philip Ryken’s commentary is not the most technical commentary available, but in terms of getting the basic message of the book across, it is certainly one of the best. Written by an able Reformed pastor/scholar, this volume should prove especially helpful to pastors and teachers. Very highly recommended. 2. F.F. Bruce — The Epistle to the Galatians (New International Greek Testament Commentary, 1982). 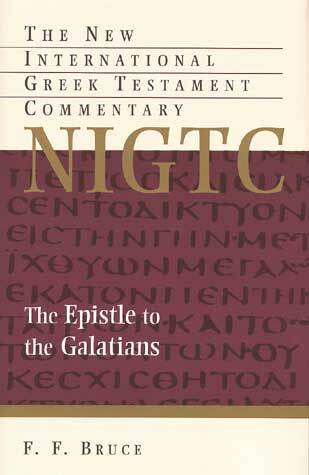 The NIGTC series is a technical commentary series requiring knowledge of Greek to use fully. Bruce’s commentary in the series is a very helpful contribution for those who wish to dig deeper into the original text of Paul’s letter. 3. Timothy George — Galatians (New American Commentary, 1994). Derek Thomas describes this commentary as “wonderful,” and it is very helpful on many passages of this epistle. It is one of the better volumes in the NAC series and complements Ryken’s work nicely. 4. 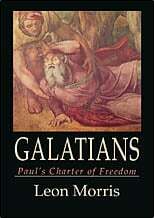 Leon Morris — Galatians: Paul’s Charter of Christian Freedom (2003). Anyone who enjoys reading good commentaries should make an effort to get everything by Leon Morris. His works are always careful, insightful, and edifying. 5. Martin Luther — Commentary on Galatians (Kregel Classics, 2006). I would be remiss if I did not mention the great classic commentary by Martin Luther. This commentary has been an inspiration to thousands. It should not be neglected by anyone interested in Paul’s letter. 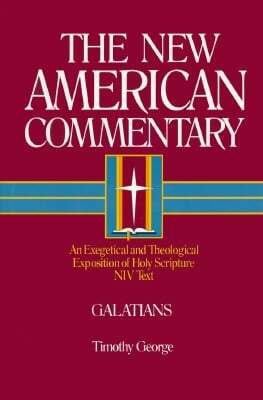 There are a number of other helpful commentaries on the Book of Galatians, including those by Ronald Y. K. Fung, Moises Silva, Ben Witherington, Peter Barnes, J. Gresham Machen, Douglas Moo, Thomas Schreiner, Derek Thomas, and Richard Longenecker. I would also recommend John Calvin’s Sermons on Galatians. D.A. Carson’s commentary (Pillar New Testament Commentaries) should become a “must read” as soon as it is published.